When my favorite boy toy and I go hiking, we sometimes find clumps of daffodils in middle of the woods. Usually it’s from a house that used to be there and if we look carefully, we can often see a foundation of sorts or some other evidence that someone once lived there. It’s sad that so little remains of early settlers and their homes, but the daffodils seem to always endure. Word for tomorrow – BESIDE. If you prefer to work ahead, see the list for the week under “A Word A Day”. They are so pretty but they don’t last very long. In Vermont the flowers you see near old abandoned house sites are orange day lilies. 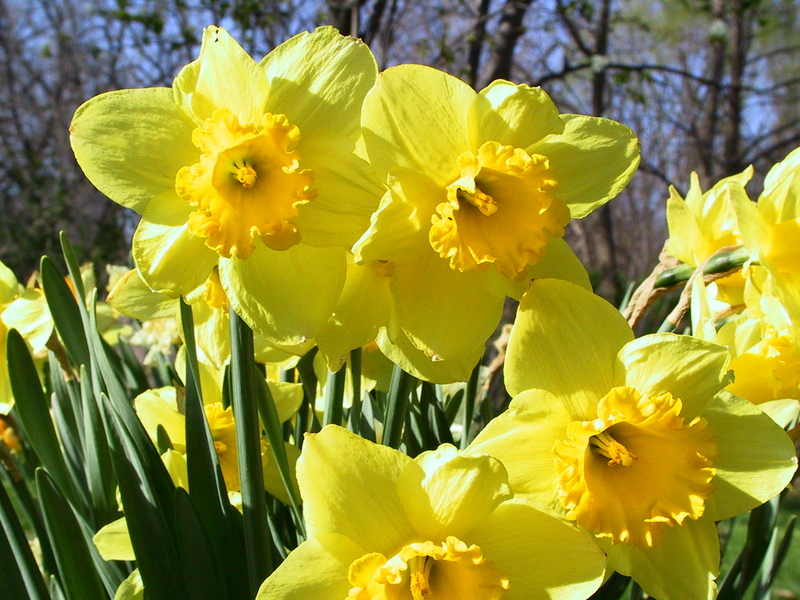 Both the daffodils and day lilies spread like crazy – what a great reminder of homes and lives that used to be there.